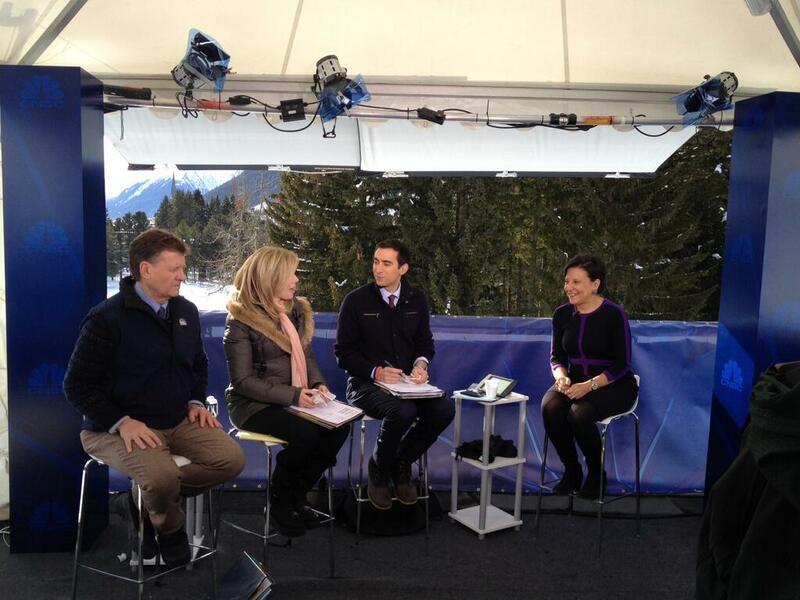 This week Secretary Pritzker was in Davos, Switzerland at the World Economic Forum (WEF). Her participation in WEF highlighted the importance of innovation and entrepreneurship as part of the Commerce Department’s “Open for Business Agenda.” The Department of Commerce is responsible for promoting the ideas and policies that support innovation and entrepreneurship, which help America maintain its competitive edge, spur wage and job growth, and strengthen the U.S. economy. Secretary Pritzker participated in a plenary session on the US Economic Outlook with Treasury Secretary Jack Lew and US Trade Representative Michael Froman. During the panel Secretary Pritzker said she was optimistic and bullish about America’s future because the economy and American competitiveness have regained traction. The economy has created 8 million jobs in past 4 years, including more than 2.2 million private sector jobs last year, and nearly 600,000 new jobs in manufacturing. With 10 straight quarters of GDP growth, the recovery is starting to take hold and economists expect continued strong growth in the year ahead. Secretary Pritzker also reiterated the need for increased trade and investment. Since 95% of consumers live outside of our borders, it is important that we continue to pursue free trade agreements since they have proved to be one of the best ways to open up foreign markets to U.S. exporters. That is why the Obama Administration is pursuing additional trade agreements that will cover 60% of the global GDP and open up new markets to American businesses. The Secretary also promoted SelectUSA, the Administration’s aggressive effort to seek potential investors. Secretary Pritzker pushed for a sustained recovery built upon real wage growth. She called for aggressively addressing income inequality by lifting incomes and helping long-term unemployed through increasing the minimum wage and extending unemployment insurance. Pritzker noted that business and government leaders have a moral responsibility to support their workers and thereby strengthen their middle class – in an increasingly interconnected, competitive global economy.